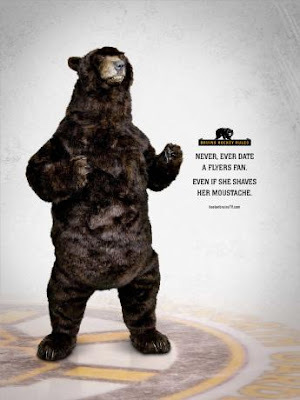 Props to the Boston Bruins marketing department. They may very well be the best in all of sports. They keep the one liners coming with their print ads (as seen above), continuing with their "Bruins Hockey Rules" branding! If you haven't seen their television spots, you need to. Below is a fine example. Check out the related videos to see the rest!